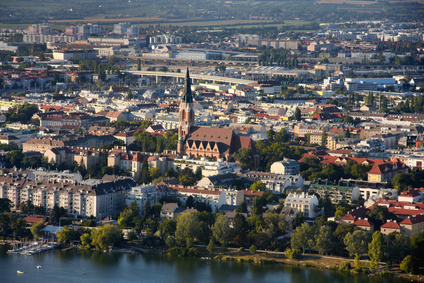 Monarch Air Group provides private air charter in Vienna, Austria. Our clients benefit from top-notch service, unrelenting dedication to safety, wide selection of aircraft, and years of experience in chartering private jets. To obtain a free quote, please use our online quoting tool provided below, or call toll free 1-877-281-3051. Monarch Air Group offers private jet charter services to and from Vienna, Austria. Vienna is the largest and capital city of Austria known as the cultural, political, and economic center and starting place of WWI. It has long been a centre of the arts, especially music, Mozart, the Strauss family, and Beethoven were among the great composers lived and worked there.There are beautiful art nouveau buildings from turn-of-the-century architects like Adolf Loos and Otto Wagner. The most popular tourist attractions include the Spanish Riding School with its renowned Lipizzaner stallions, the Vienna State Opera, and the Vienna Boys Choir.